Rajasthan's roads make for some great bike riding... 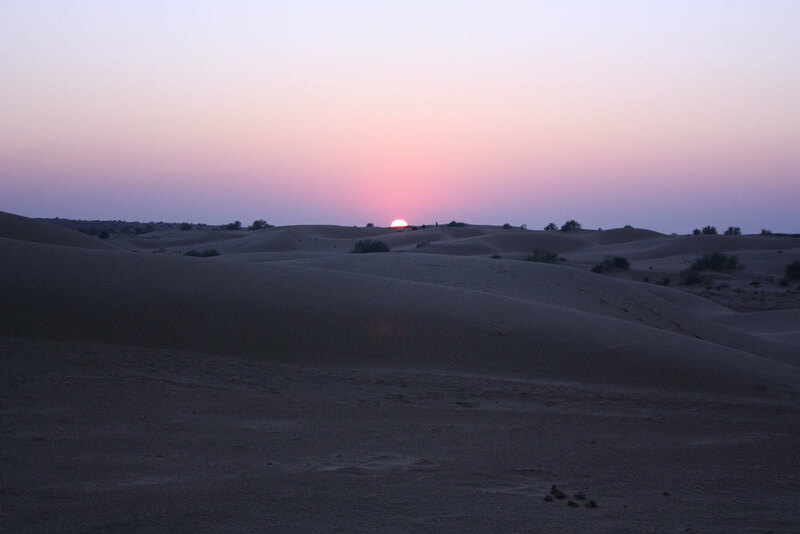 Check out our 8 night Rajasthan motorcycle safari tour through the compelling desert landscape. Rajasthan is a large and colourful state and has immense variety by way of landscape- from deserts to forests to hills. Our trips begin from Jaipur. For our bike tours we're using 350 cc single cylinder Royal Enfield bikes. This is an old English bike but is still manufactured in India and is unarguably the best bike for Indian roads. A jeep with a qualified mechanic, spares and first aid equipment accompanies the riders all through the tour. We are looking at no more than 5 bikes per group. A typical itinerary would involve riding for about 3 to 4 hours every morning (150 to 200 km). We would explore the town after lunch, and the evenings are free to relax. Custom designed itineraries can be built around your specific areas of interest and the time available to you. At the very minimum you would need a week to get a fair feel of the region; you could even spend a month! Two sample itineraries are below. We'll pick you up from your hotel or on arrival at Jaipur airport. You'll be introduced to the support team for the safari and test drive the motorcycles. A short tour to Samode village about 40 km away will acquaint you with your machine. Overnight Jaipur. Drive north into desert country. Visit Nawalgarh and Dunlod enroute, renowned for their painted havelis (traditional Rajasthani homes). The area is also known as the largest open-air art gallery in the world. Overnight Mandawa. Bikaner is a royal city, over 500 years old. It stood on an ancient trade route linking ports on the Arabian Sea to central Asia. It's also very well known for its sweets and savoury snacks. Overnight Bikaner. A long ride through the heart of the desert countryside. Arrive at Jaisalmer, with the sandstone walls and bastions of Jaisalmer Fort shimmering golden in the afternoon sun. Overnight Jaisalmer. Day 5: Ride a camel! Sightseeing of Jaisalmer in the day, followed by a ride to the sand dunes. Enjoy a camel ride over the dunes at sunset. Spend the night in a tented camp on the dunes under a sky blazing with stars. After breakfast ride on to Jodhpur, in the very centre of Rajasthan, dominated by the massive Mehrangarh Fort and the opulent Umaid Bhawan Palace. Overnight Jodhpur. Sightseeing of Jodhpur. Visit the Mehrangarh Fort, the Jaswant Thada cenotaph and the bazaars. Overnight Jodhpur. Ride to the lakeside town of Pushkar, a very holy city for Hindus, and the site of the world-famous annual Pushkar Fair. (Dates for the fair in 2014 are 30th Oct - 6th Nov). Overnight Pushkar. Visit the historic town of Ajmer enroute and return to Jaipur, where this tour ends. Prices start from 1000$ per person for a minimum group of 4 motorcycles with single riders. Charges for an accompanying pillion rider start from $650.